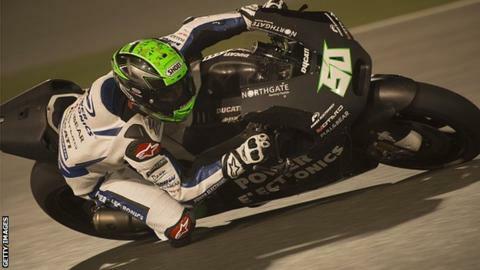 Northern Ireland's Eugene Laverty earned four MotoGP points after finishing an impressive 12th in the 2016 opener in Qatar on Sunday. It's a promising start for the Aspar Team rider from Toomebridge, who is hoping to surpass his total of nine points in the 2015 season. Laverty, on board his Ducati Desmosedici machine, came in 41 seconds behind winner Jorge Lorenzo of Spain. Andrea Dovizioso was second with Spain's and Marc Marquez in third.